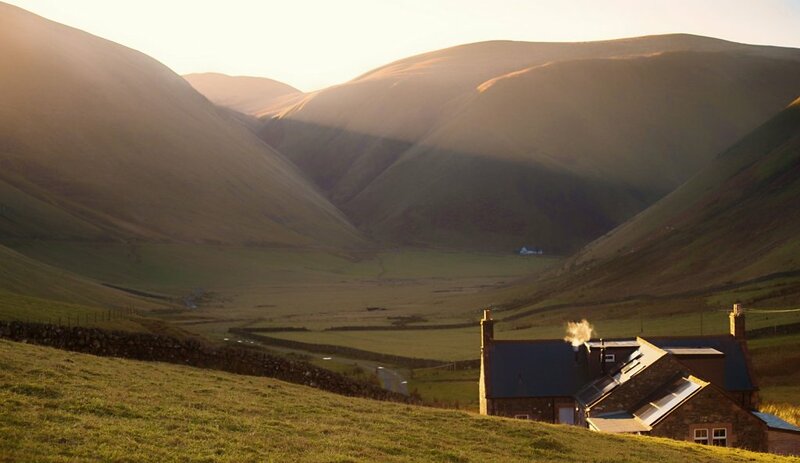 At 10 am the sun breaks over the hills to the east of the Dalveen Pass. 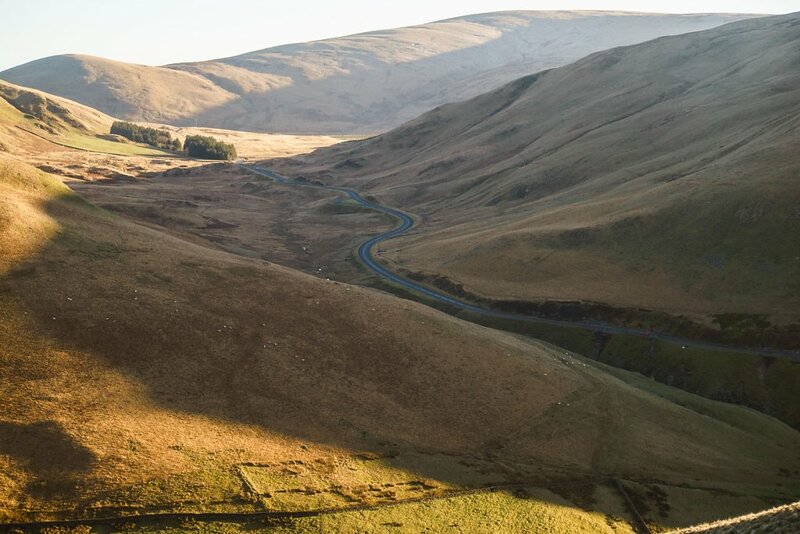 The A702 road far below passes through the Dalveen Pass on its way to Crawford and the M74 motorway. 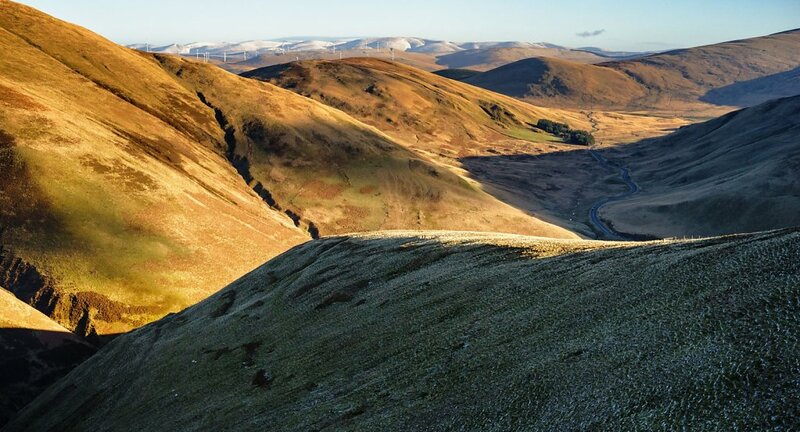 Part of the Clyde Wind Farm sits in front of the snow-topped Moffat Hills. The hill in the sunshine on the left of photo is Wether Hill on which a section of the Southern Upland way continues to Lowther Hill. It was a steep haul up to this point, but the view made up for it. 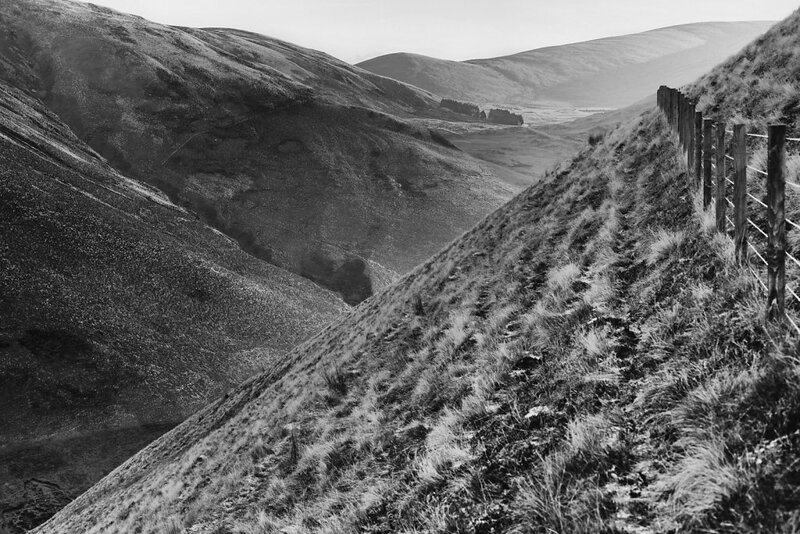 The road runs from St John's town of Dalry to Edinburgh but the Dalveen is its most dramatic section. 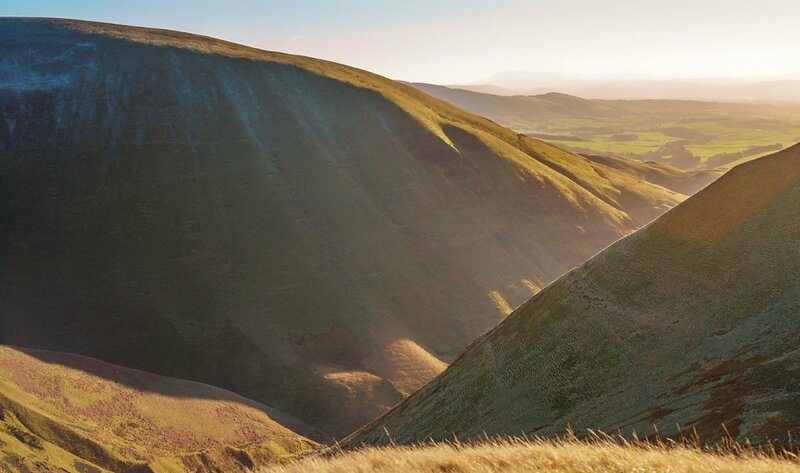 This Lowthers terrain is typical of the steep-sided, flat-topped grassy hills throughout the Southern Uplands. Our target hill in the sunshine. 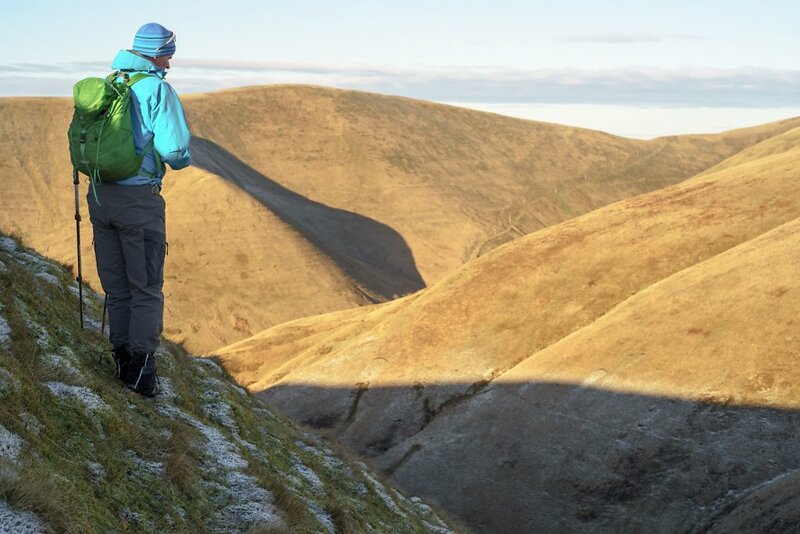 We'll take the rib of ridge known as Crawstone Snout casting the shadow, up to East Mount Lowther's summit before descending the rough track from the col back to the Enterkin Pass. 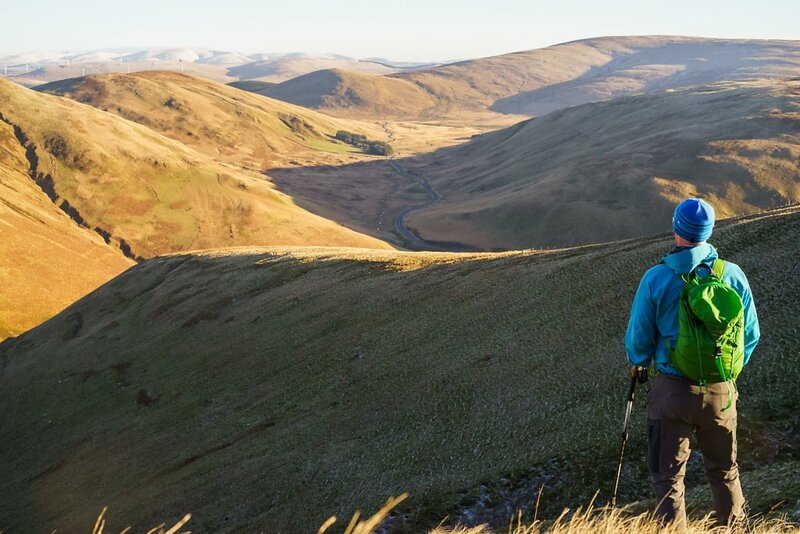 On the haul up to East Mount Lowther from the Enterkin Pass, the ridge briefly levels. Steygail and its steep slopes well seen from here. 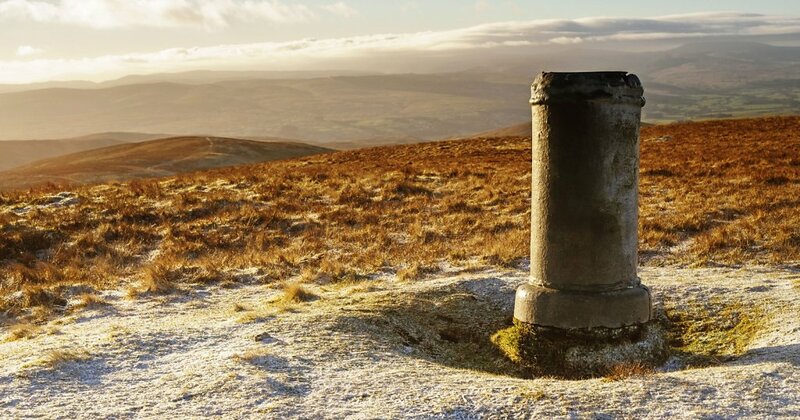 The plinth on the trig point holds a panoramic circular face plate indicating the hills seen from the summit. Looking south on the way out, enjoying the last of a winter day's sunshine. 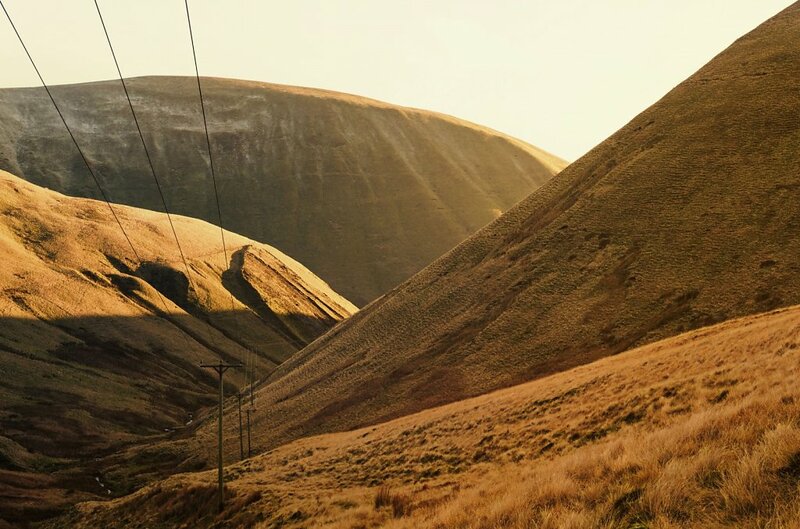 These power cables run from the A702 road, presumably to serve Wanlockhead and the radio installations on the major Lowther summits.